Headphones, headphones, everywhere. Damn, there are a lot of headphones around. Not forgetting earphones, earbuds, in-ear speakers, in-ear monitors etc. What to buy? Well, how about going from three dynamic drivers per ear to four. Four's better, right? 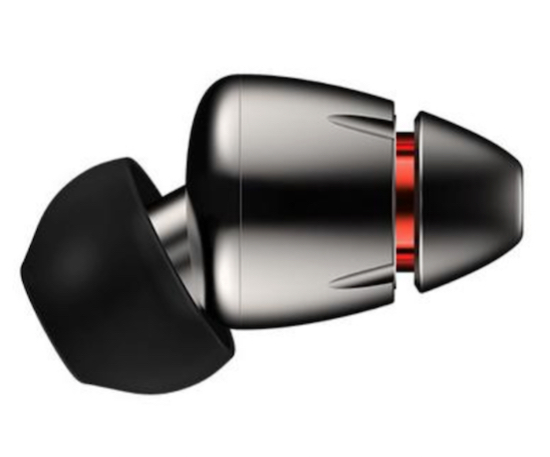 Last year I reviewed 1More's Triple Driver In-Ear Headphones. 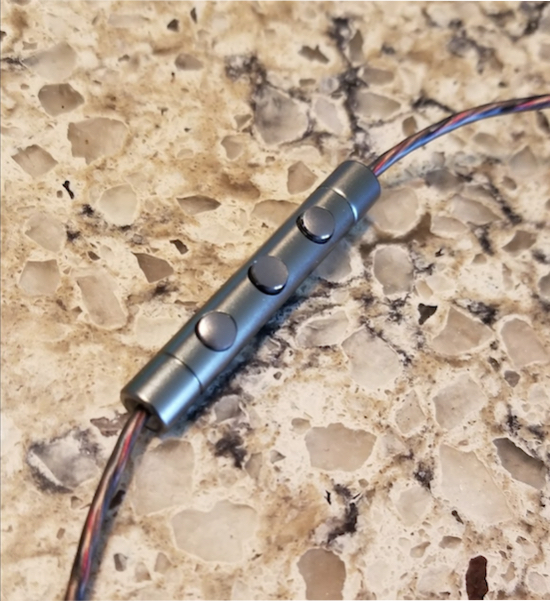 I was surprised at what this inexpensive, beautifully-made in-ear headphone could do, especially in the musical drama department. 1More has doubled the price of its new Quads to $199, but it's not an obnoxious increase simply because the Triples were so underpriced for what they delivered. However, $199 is now in a territory where some of the big boys begin to play. So, do the 1More's compete? An easy answer after a few weeks listening. Yes. The good news is the Quads give you more of what the Triples offered--a beautifully open soundstage with excellent detail retrieval and well balanced bass. Lots of earphones, even some of the more expensive in-ear monitors add a lot of sizzle in the upper reaches in the name of 'detail'. Manufacturers are almost scared of being labeled--too laid back, too reticent, too smooth, lacks energy, etc, so they gild the treble lilly. Listen for a couple of hours and see how your ears feel with the sizzle kings. Most times, you'll experience the heat and tiredness that is the ugly offspring of fatigue and distortion. I felt no heat and general unpleasantness with the Quads. I listened for hours, both in relaxed and focused mode, and never felt tired or suffered from sore ears. Lots of choices for ear tips as usual for this company. The presentation box of the Triples for $99 was exceptional, at $199, you'll still feel pride of ownership. Equal to the splendid sound is the build quality. The 'turbines' look like miniature scale models of the latest Rolls Royce Trent aircraft engine, but in art deco mode. Add them to any mobile situation, whether the new iPhone X (you will be living the dongle life, though, as the Quads use a standard headphone connection), a Fiio X5 III DAP (review forthcoming) or even a tricked out Questyle or Astell & Kern masterpiece, and they'll fit right in. Listening to Bach Cello Suites on the Fiio X5 was a delight. A cello’s sound can be difficult to replicate, but I heard all of Rostropovich's legendary gorgeous tone. And felt his extraordinary energy. I dipped into some rap on my new iPhone X and the energy was palpable. Ja Rule's foul language and paeans to robbery and mayhem were suitably effective! And the lovely Madeleine Peyroux sounded like a modern-day Piaf--gorgeous vocal timbre and having a profound effect on the lyrics. The Quads can deliver a musical punch no matter the repertoire. The Quads will need a goodly break-in. I hate breaking in gear, so I asked my wife, 'darling, would you like to try these wonderful new earphones?'. A couple of hundred hours later, I had to pry the damn things out of her hands. A big thumbs up from the Mrs. Her main activity with them was running. She changed to smaller ear tips and said they never felt uncomfortable or that the turbines fell out during vigorous activity. Tough Kevlar material for the wire, too, which is a very nice upgrade. As with all top notch products these days, the Quad's inline buttons (metal) control volume, pause/play, and skip to next track. Like the Triple Drivers, the Quads come with a classy carrying case, an adapter for planes, a quarter inch adapter, a cable clip for your shirt, and three foam and five silicone tips. Check out that stitching. Magnet closing, too. I can report to you the Quads are a significant upgrade on the already excellent Triple Drivers. Whether the $99 increase in price is worth it to you is highly subjective. I think if you did an A/B comparison, you'd pony up the extra dough in a minute. The extra driver brings more air to the proceedings and even better bass, yet keeps the essence of the Triples, balance, detail and refinement. There are lots of good headphones around for $200, but not nearly as many great ones like the Triples for a paltry $99. To me they are a wonderful bargain, in an avocation where there are precious few. But the Quads bring even more to the party. As such, buy with confidence. Diamond-like carbon dynamic driver (like mini speakers) + 3 balanced armatures (like mini tweeters). Streamlined aluminum sound chamber with perfected ergonomics ensures exceptional comfort and noise isolation. Compatible with Apple® and Android™ devices, you can control volume, change tracks, and make calls. Tuned by Grammy® winning sound engineer Luca Bignardi. Luxurious Gift Box, Leather Traveling Case, 9 Ear Tip Sizes, ¼” and Airline Adaptors, Matching Shirt Clip.